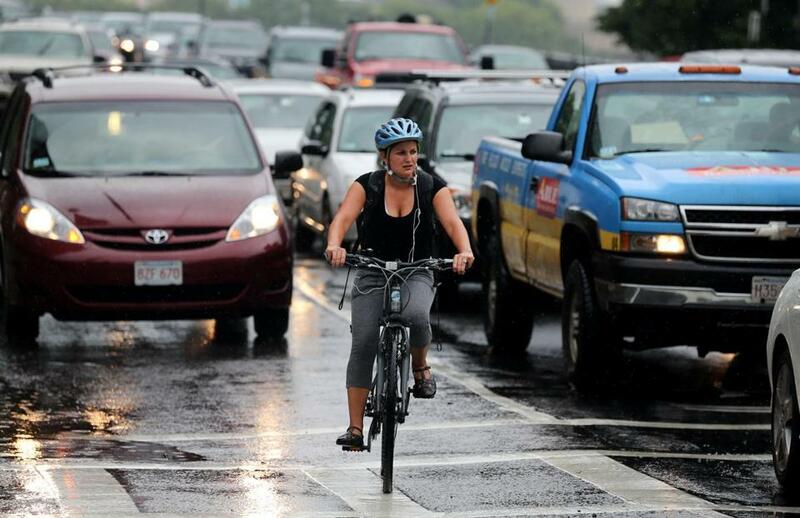 The Massachusetts Avenue and Beacon Street intersection might benefit from eliminating a lane, cycling advocates say. 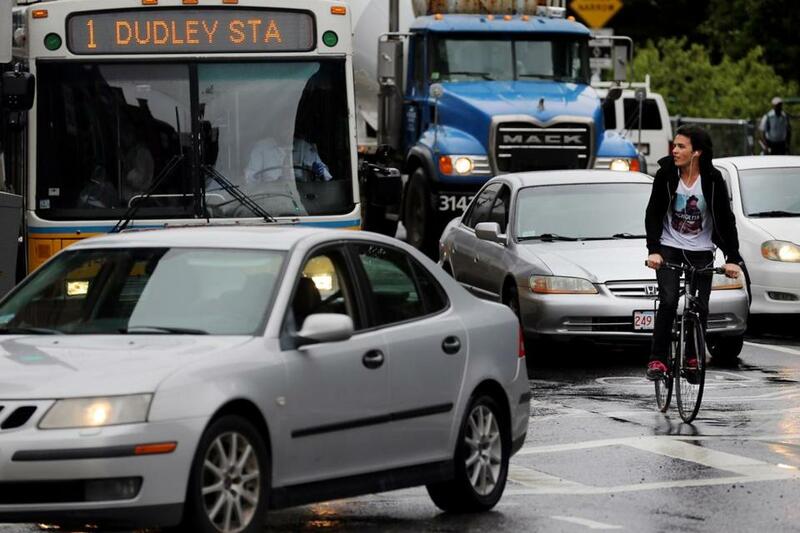 Swerving around double-parked cars and dodging trucks too big to spot them, Boston’s bicyclists navigate a dangerous landscape — barely any of which was built with them in mind. At least 13 people have been killed while bicycling on city streets in the last five years, ranging in age from 8 to 74. They have been hit by buses, struck down by cars, fallen into traffic, and — most frequently and recently — swallowed under massive trucks. Last week, 38-year-old medical researcher Anita Kurmann was killed at a Back Bay intersection notorious for its danger to cyclists. Kurmann was the latest casualty in a city that had more cycling fatalities per 10,000 bike commuters than Denver, Minneapolis, Portland, Seattle, and Washington, D.C., among cities of comparable size where bicycle travel is common, according to a 2014 study. Fatalities are a small fraction of the total number of bicycle crashes reported each year. Figures kept by Boston Emergency Medical Services show an average of about 520 fatal and nonfatal crashes annually in Boston from 2010 through 2014. Anita Kurmann, 38, was an endocrine surgeon from Switzerland who spent three years as a Beth Israel research fellow. 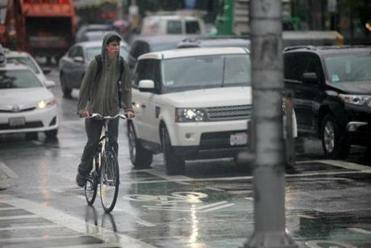 City officials say the number of bikes on Boston’s roads has risen rapidly since 2007. In that time, the rate of injuries among the increased number of riders has dropped, advocates say — evidence that the city is slowly becoming safer for cyclists. And city officials say they are finally traveling the same path that more bike-friendly cities have, drawing on data to help identify dangerous intersections and make improvements. That probably includes the intersection of Massachusetts Avenue and Beacon Street, where Kurmann was killed. “It’s one of the many intersections that has begun to emerge,” said Vineet Gupta, the city transportation department’s director of policy and planning. A plan for short-term improvements to the intersection should be completed by the end of the month, he said. Intersection of Massachusetts and Commonwealth Avenues. The process of analyzing data from the rest of the city, Gupta said, is nearing completion. 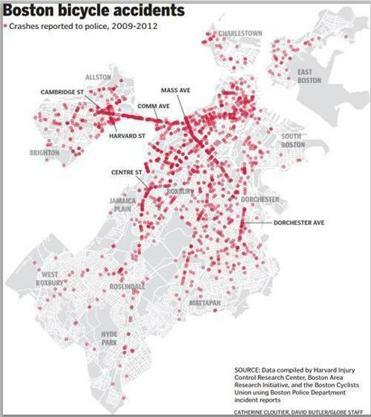 Boston gets its crash information by tracking police and emergency services reports. The datasets can overlap but rarely match. For example, Boston police noted nine bicycle fatalities from 2010 to 2012, while Boston EMS reported eight, according to a 2013 city report. The discrepancy was because of an incident when a victim was transported alive by EMS but later died, the report said. And while EMS may respond to a fall, police may not. Still, using both EMS and police data, the numbers are more reliable than in years past, said Gina Fiandaca, the city’s Transportation Department commissioner. Once the city identifies priority intersections, traffic audits will provide deeper insight into how to make travel safer. Such work can be costly, in dollars and political capital. After outcry from advocates, the city “started to see the wisdom of a buffered bike lane,” Gillooly said. Finding and fixing a few hot spots is only the beginning, said Jackie Douglas, executive director of the LivableStreets Alliance, a community advocacy group. Changes need to be made throughout the city, and quickly, she said. “It’s not just about identifying the worst intersection, fixing it, and saying you’re done,” Douglas said. Stidman said cities such as Cambridge have taken steps to slow vehicular traffic — steps that could be taken in Boston. 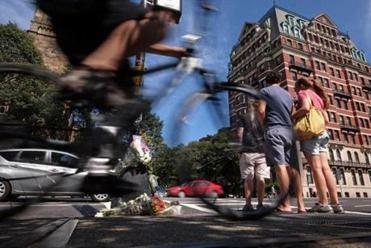 But Cambridge also benefits from something Boston may be beginning to see reflected in its statistics as the number of riders increases: For bicyclists, there’s safety in numbers. “What we see everywhere, not even just in the US, is the more people who ride, the lower the risk for the individual,” Stidman said. Indeed, Boston cycling advocates maintain that the growth in ridership is far outpacing the growth in crashes. The percentage of Boston residents commuting by bicycle has grown from 1.3 percent in 2009 to 1.8 percent in 2013, according to the US Census’ American Community Survey. Ari Ofsevit, a bike commuter who lives in Cambridge, is an advocate for greater bike safety. Among other projects, Ofsevit’s Amateur Planner blog often focuses on street design and bike safety. In the wake of Friday’s fatal crash, he posted a detailed plan to redesign the intersection where Kurmann died. Safety on Massachusetts Avenue could be improved, he said, by taking out a lane of traffic. In other sections of the city, narrower lanes would slow traffic and provide dedicated bike lanes at the same time. Still, he said, the city has shown recent signs of being more proactive. A cyclist navigates the intersection of Massachusetts Ave and Beacon St.
Nestor Ramos can be reached at nestor.ramos@globe.com. Follow him on Twitter @NestorARamos. Catherine Cloutier can be reached at catherine.cloutier@globe.com. Follow her on Twitter at @cmcloutier.